With the Worktop Plus, lack of space in your kitchen needn’t interfere with your culinary ambition. 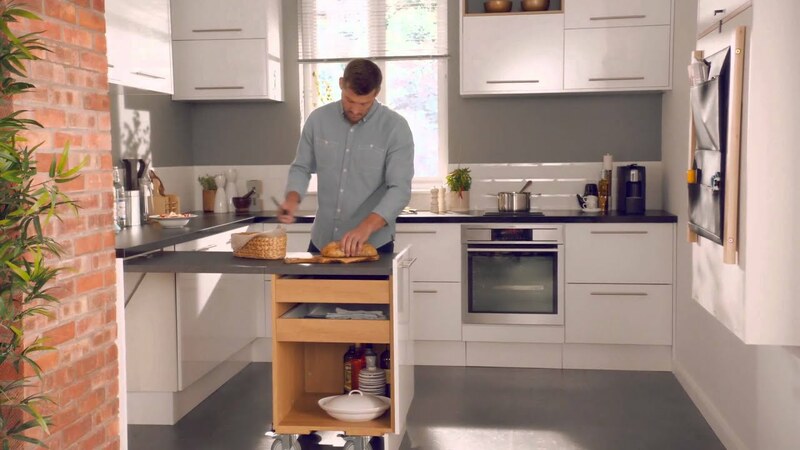 Complete with extra work and storage space - simply wheel the Worktop Plus out when you need it, and wheel it back under the worktop when you don’t. Perfect for both preparation and parties.